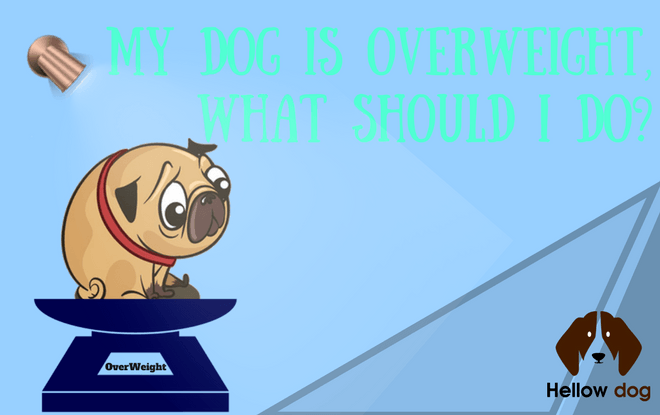 →My Dog Is Overweight, What Should I Do? You have probably noticed that your dog is overweight. It is not a new thing that poor nutrition diets have been affecting the longevity and wellness in life. Overfeeding has been the big part of the citizen's life in term of pets. The family pet is indeed the mood booster. Making it fat might be amusing for you, but it can affect the health of your dog. When it comes to the mealtime and snack time, you might not have the discipline of a healthy diet that your dog needs to take on a daily basis. You are probably not able to hold the temptation to give your furry friends the treats because they love you. Vice versa, you also love them. That’s why you want to make them happy. Then you think that it is necessary to give them a bowl of a treat. Unless you do take them to walk around the park routinely, they will get fat. You may not realize it until it is too late to prevent them from being overweight. It is the right time to reconsider about what you are about to feed your dog, how much you feed him, and when you feed him. It is time for the weight reduction, and it is actually not easy to keep the things together. No matter how you are going to do this, you will see the positive results when noticing any weight loss. It is just as good as you find yourself to keep maintaining the weight by carefully conducting your diet. Now it is time to do the same for your dog so that you will have a happier and healthier furry buddy. In the US alone, four out of ten dogs are overweight. Studies show that the main cause of their being overweight is overfeeding. It is because many pet owners allow their dog to eat from (Pet feeder) table scraps. The dogs that are overweight can also have other health problems like hypertension, heart diseases, hepatic lipidosis, diabetes, and so on. Bringing your dog to the veterinarian is the right thing to do. If your veterinarian concludes that it becomes intolerable for your dog if it is overweight , you will need to change the diet of your dog. Ideally, you will need to follow the specific healthy weight reduction program. There are many bizarre weight reduction programs which can result in such fantastic weight loss. However, the best way to reduce the weight of your dog without torturing it is by decreasing the amount of food. Your veterinarian will do several tests and measure the adequate amount of food intake based on the age, breed, size, and the health condition of your dog. You can actually notice the overweight by yourself. If you can still feel the rib cage of the dog when you touch the surface of the skin, it is still normal. But when you are unable to feel the ribs of your dog, then most definitely it is overweight. The other trick to know this is to look at the waistline. If you hardly notice the waistline of your dog, then it is definitely overweight. In many cases, the real triggers come from the pet owner. Statistically speaking, around 80% of dog overweight cases in the US has the pet owners as the dealers. Dogs should exercise on a daily basis to keep their metabolic rate and weight normal. However, many pet owners love to give treats to their dogs, which explain why many dogs store a big amount of fat in their body. Owners should keep in mind that the dogs will continue to eat although they are not hungry. Actually, you can simply tag your dog to play outside. Do you know that dog playing time equals to weight loss? So you will have realize that you have give it daily exercises and keep it active. 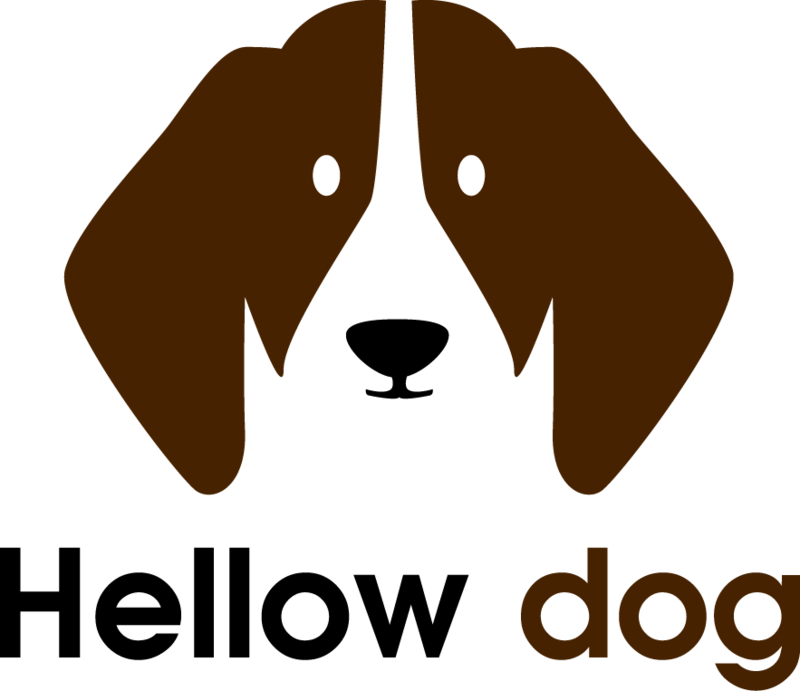 There are many dog parks in the US that you can visit with your dog. The best part of it is that most of them allow the users to release the dog leash. The unleashed dogs will have a better exercise than a leashed dog. Not to mention that you won’t have to waste your energy and time to follow your dog. You can just drop them off the park, and they will run happily and do their things while you are sitting on a park bench. Oh, did we also mention that most of the dog parks have fences to prevent your dog from being lost? How Many Calories Should My Dog Eat to Lose Weight? Every dog should not be overweight. They have to be healthy, proportional, and happy. As mentioned, you can feel the ribs since there is no excess fat covering their body. To reduce the weight of the overweight dog, you will need to maintain and routine of what you feed them. Make sure to cut the usual portion by 10% in the first phase. Then you can decrease it gradually until your puppy is getting used to it. If you cut the portion of the dog food significantly, your dog will end up whining. Consider focussing on low-calorie foods so that your dog will feel better. Although your dog is not used to get the low-calorie foods, he will surely get adapted in the future. Whining can be a big problem for everyone. Therefore, you could change the feeding schedule to twice a day instead of once a day. Of course, you are going to split the food into two portions. You should not leave the food out all day long since it will become less appetizing for them. Speaking of meals, you should stop giving them snack between the time of the two meals. Ideally, dog food should contain 1600 kilocalories of energy per pound. Keep in mind that this number is prevalent if your dog is active. If you seldom take your dog out for exercising, your dog will need less food. If the dog is less than 11 pounds, make sure you don’t exceed 4 ounces of dry food to feed. If your dog is above 11-22 pounds, feed 5 ounces of dry food. 11 ounces of dry food will be adequate for 22-50 pounds dogs. 17 ounces of dry food will be prevalent for 55-75 pounds of dogs. If your dog is 75 pounds in weight or more, consider to give it 30-35 ounces of dry foods per day. It is relative, however, for every dog. Make sure you consult this with the vet. The best dog food to lose weight can be relative depending on the cases and the breeds of the dogs. However, you will do the right thing by returning to a healthy weight. Conventional products that you usually find in the stores are often high in calorie. You can’t go wrong with them if your dogs have normal weight. You will want to give them the good foods. The nutritious treats are available at home since you can use the ingredients in your kitchen. Consider to focus on organic meals which are recommended by your vet to keep your dog healthier. Calculate the calories - we mentioned about the suggested calories for most dogs back then. You could stick to these or consult with your vet. Each pet’s metabolism is unique. If you are not proficient in this, you could consult your veterinarian before starting. Consider the portion - You need to stick to the measuring cup or the tolerable benchmark. Just leave your “keep the bowl full” method since this won’t work. Instead, you will measure the portion for each meal. Be wise in giving the treats - The funny face, heart-touching expressions, they try to woo you. Yes, we meant your dog. Of course, you need to show them that you are not anti-treats. You can give your pets extra treats on some occasions. But here is the trick, make sure you make your dog move or run to get it. This will also promote the calories burn inside their body. Veggies - Dogs are basically carnivore. But doctors and health experts allow you to give them veggies to keep them healthier. Consider adding baby carrots, green beans, broccoli, cucumbers, etc. Exercise - Dog can be your best companion. If you don’t love to go to the gym, why not do some exercises at your home? You only need to spare around 15 to 20 minutes to do important exercise on a daily basis. Not only make your dog healthy but yourself as well. Supplements - if you go to vet, chances are you will receive the prescriptions for your dog. The good thing here is that you can find the supplements at any pet shop. Consider sticking to the best products out there. Fewer carbs - obviously, you will really need to focus your dog on avoiding the high level of carbohydrates. The weight by age can be very relative depending on the breed of your puppy. Every puppy is different. To get the accurate weight prediction, it does not hurt to purchase DNA test kit to help you. Some dogs gain weight faster; some are not. The dog weight chart will depend on where you reside right now. It is because the breed in the US will be different with the breeds in the Asian countries. 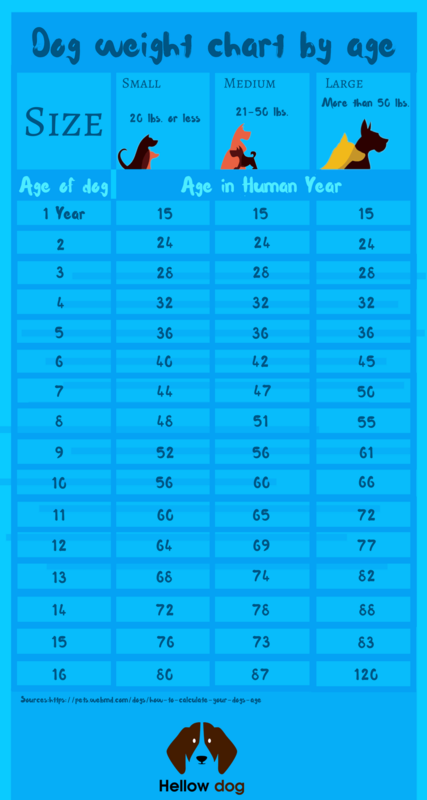 The puppy weight chart can normally be found in the pet shops or pet clinic. You could consult with the vet about this. You will know then whether your dog is overweight or not. It is not as daunting as you think to fix your dog’s overweight problem. The key here is to get back to the healthier foods and diet plan. With the routine exercise, your dog should be able to get back to old-self again. Don’t hesitate to tag your puppy along to the trusted vet in your town. The staff will gladly help you with the problem.